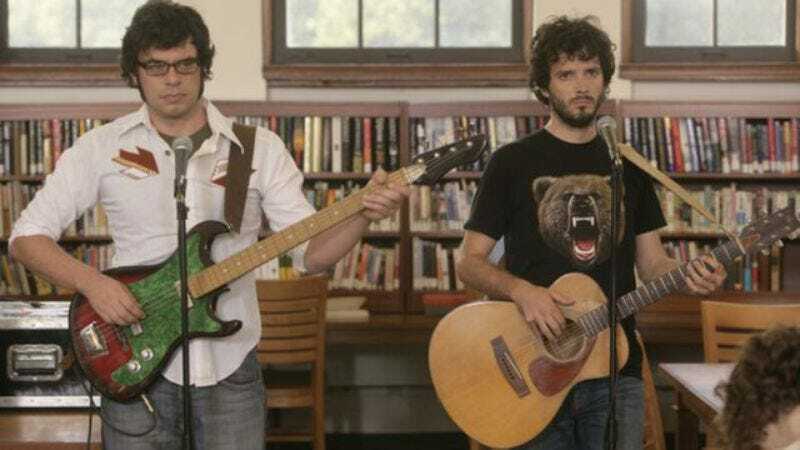 If you’re into it, we have some news of a confirmed, albeit brief, Flight Of The Conchords reunion: Consequence Of Sound reports that New Zealand’s fourth most popular folk parody duo, comprising Jemaine Clement and Bret McKenzie, will headline the Newport Rock Festival in Rhode Island this summer. Clement and McKenzie have been plenty busy with various vampire-, Muppet-, and Hobbit-related projects, but they will get the band back together for the festival, where they’ll be joined by Father John Misty and Ray LaMontagne. This appearance will likely launch rumors of a full Flight Of The Conchords tour once more, but we’ll treat the news as gingerly as we do your feelings about a FOTC tour, at least until all band members (and managers) are present and accounted for. But hey, did you hear they might be making a movie?